Deals: Double VIP Points this Sunday! 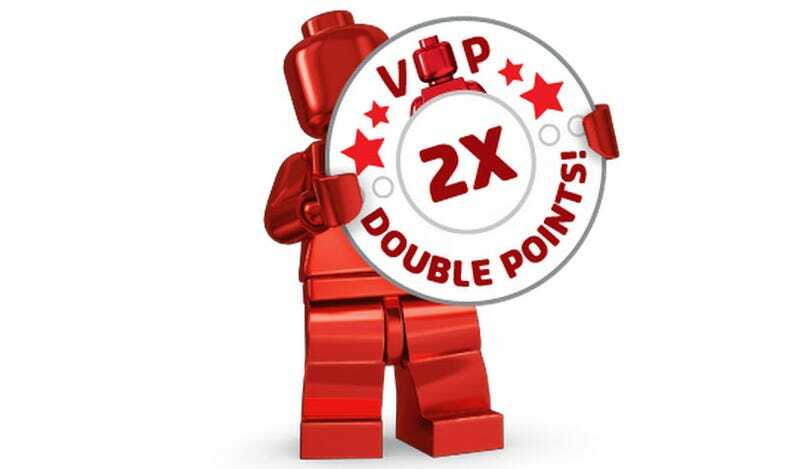 In the Lego store and at shop.Lego.com this Sunday, December 14, 2014 VIP members will receive double points for all purchases. The free shipping promotion for orders over $75 is still going and there are sales on dozens of sets including the awesome Technic Racer (42000) for $103.98 (was $129.99). If you are not a VIP member, don't worry, it is a free membership. You can sign up here online or inquire at your store and they can get you signed up right there.